The S8 was the most fragile Galaxy device ever (way more than even the S7 Edge). I’ve never seen someone use an S8 caseless and have it not crack, so this change is definitely great. Got my S8+ on 4/24 and never put a case or screen protector on it. It’s in near perfect condition. Now the s8 is not a perfect phone? Perfect phone does not existe. S8 is still a good phone, but S9 is better. Design maybe is the same or similar, but is this a bad thing? I do not think so, because S8, Note8 and now S9 are the most beautiful phones. It’s good to see the extra structural strength. I use my phone without a case in the safe environment of my home, carpets and cork wood floors! When going out I always pop a case on it. It’s not a big deal and worth it for the cool premium feel of a top of the range Note8. 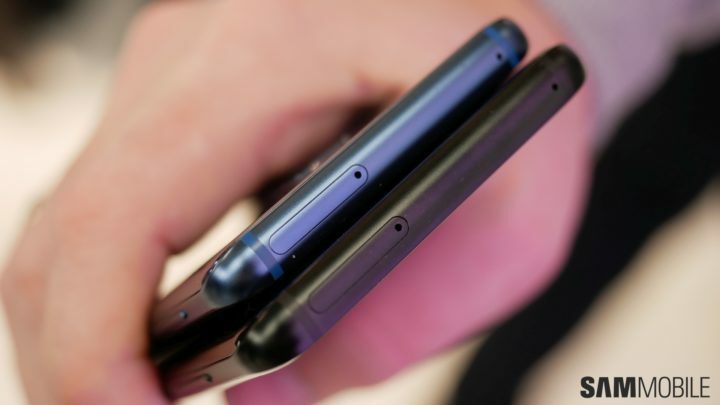 Wow, so Samsung used 6000 series aluminium on their previous phones and they didn’t bend like iPhones. Obviously Samsung and Nokia know it’s not about materials but how you design the device to be strong. Plastic phone -> not premium! Glass “premium” phone -> case needed -> plastic phone. So how is a plastic phone more premium, exactly? There’s actually no logic for those who use cases. I do, too, but too many people also using their flagships without any case, and for them the glass can feel very premium. So could the rubberized back that the Nexus 5 had, but sadly manufacturers aren’t going for that anymore. OMG you are so right! But metal last much,much more than the plastic and same goes for glass… so imagine it after a year the plastic has ripped of its coating whereas the metal hasnt. Plus the metal is more durable than plastic. I remember my S4 years ago I was cleaning my shoes and it bended a little and a part of the frame just cracked. Even with a case. So this is important! Plus some users dont care and just use their phones without a case and that doesnt bother them.